Bikes that fold, in general, come in three categories. Suitcase bikes are some trouble folding (and mostly disassemble) into a case for travel. But when they are assembled they are mostly uncompromising in rigidity and performance, like a “regular” bike. Among upright bikes the icon Bike Friday is a good example. At the other end is a Subway bike. A classic example is the odd-looking Strida. It is faster than walking, but not really a vehicle. It would be used in a dense urban area where public transit is expected. The rider will spend a lot of time walking with their bike. 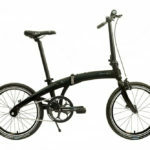 In the middle is the Folding bikes, such as many models by Dahon or Montague. They are OK bikes that can get around town or out to the countryside. You would get one to fit it into a small apartment. It can serve as an all-purpose bike, but not an excellent, special purpose bike. 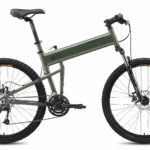 The great recumbent Suitcase bike is the Lightning P-38 Voyager. 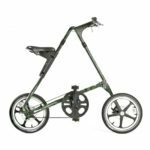 Some time ago, the maker of the Bike Friday line made a suitcase recumbent called the Sat-R-Day that shaded into being a Folding bike. 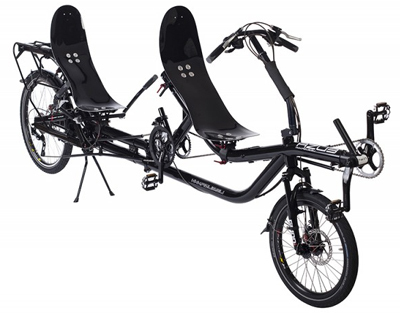 The AZUB Origami is Folding recumbent that holds up to intense use. 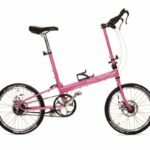 The AZUB Twin tandem incorporates a coupler or folding hinge simply to make it as transportable as two regular bikes. You won’t find a recumbent Subway bike. Recumbent bikes accommodate the human body too much to do this. 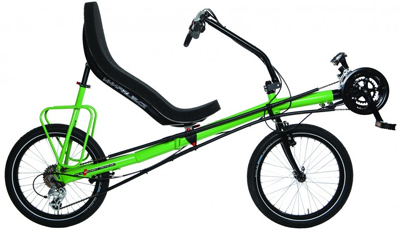 The seat of a recumbent is the basis for its comfort and the power you provide. This is easily as large, those not as massive, as the rest of the bike. The need to support a horizontal rider adds size. We know there are breakthroughs in design near on the horizon, but we’re yet to see the truly portable recumbent.